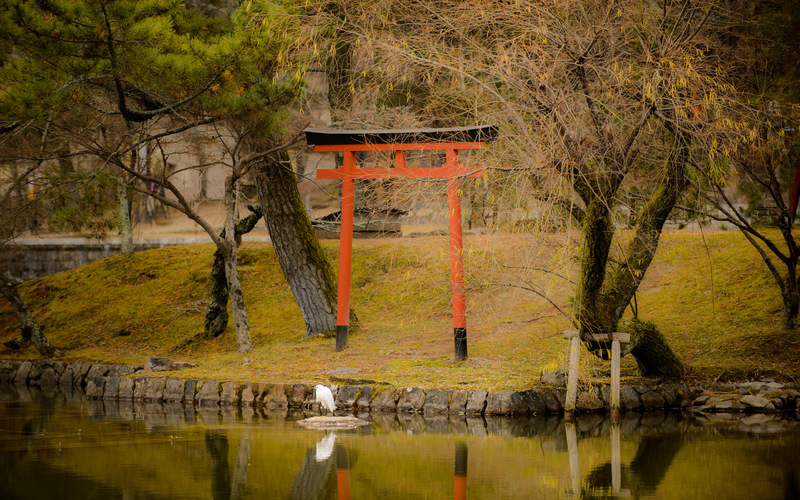 Dipping into the largely-untapped reservoir of things I want to post about, here are some pictures from a December 2012 visit to the Todaiji Temple (東大寺) in Nara, about an hour's train ride south of Kyoto. 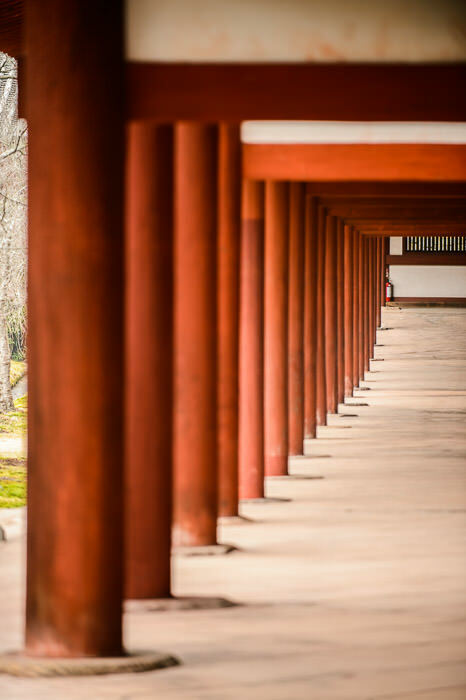 I posted a bit from that trip in “That Massive Column in Nara’s Todaiji Temple Is Nothing To Sneeze At”, but it's a visually rich place, so I've been wanting to post much more. 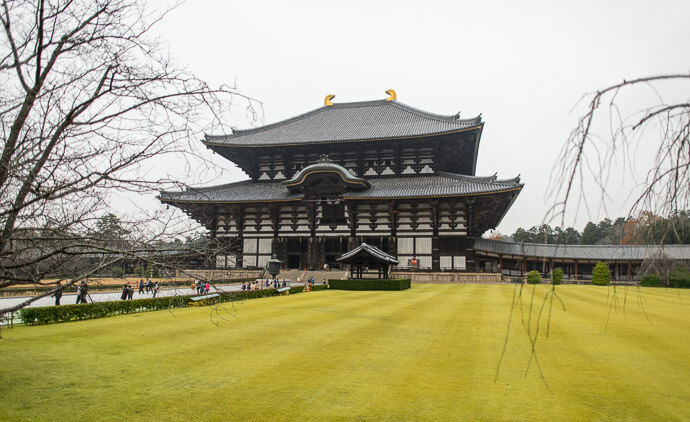 I'd made the trip to take some pictures for a friend who is the author of Lonely Planet's “Japan” guidebook. 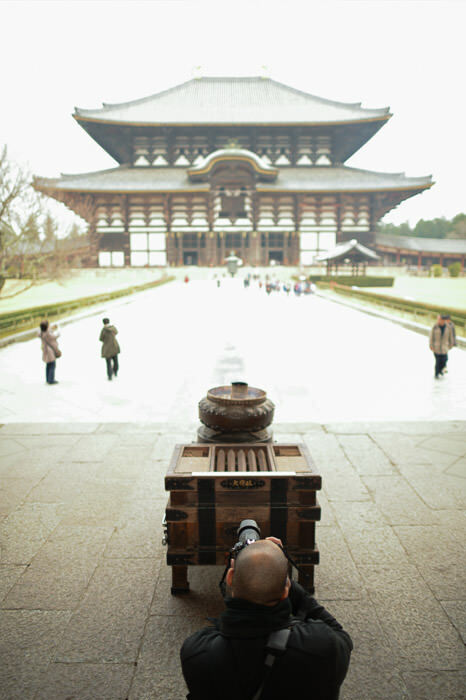 A few of the photos from this trip made it into the most recent edition. 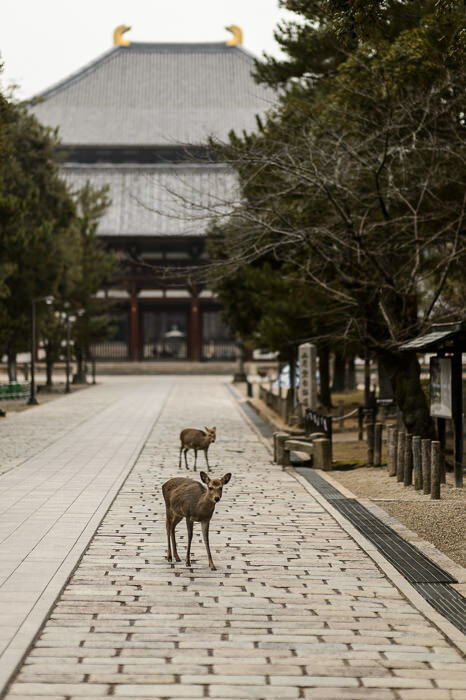 Another friend, Aeron, was kind enough to make the trek with me. 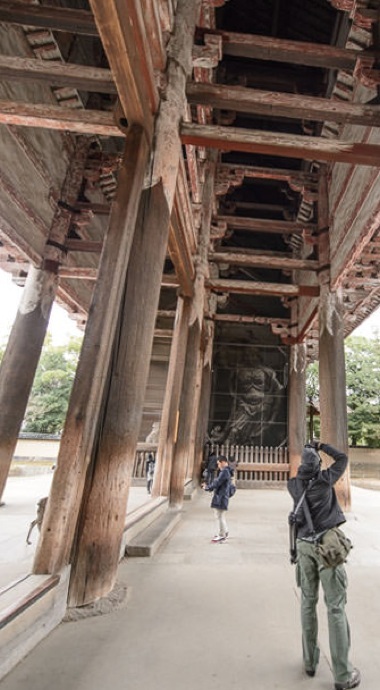 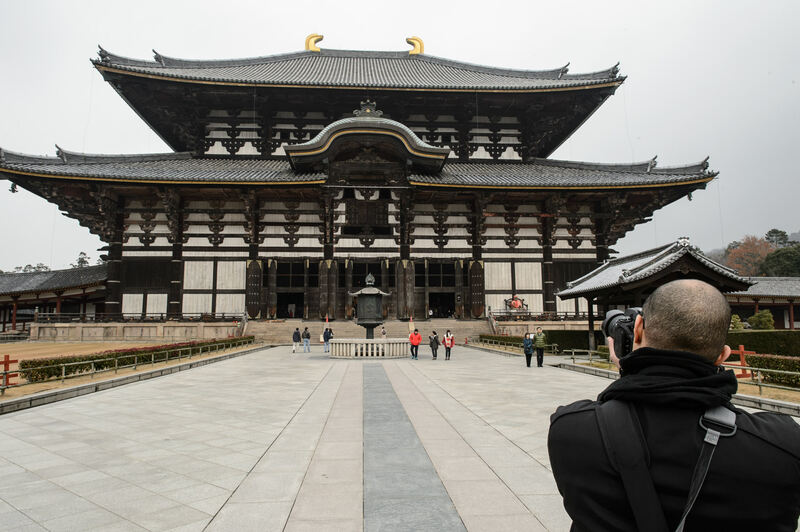 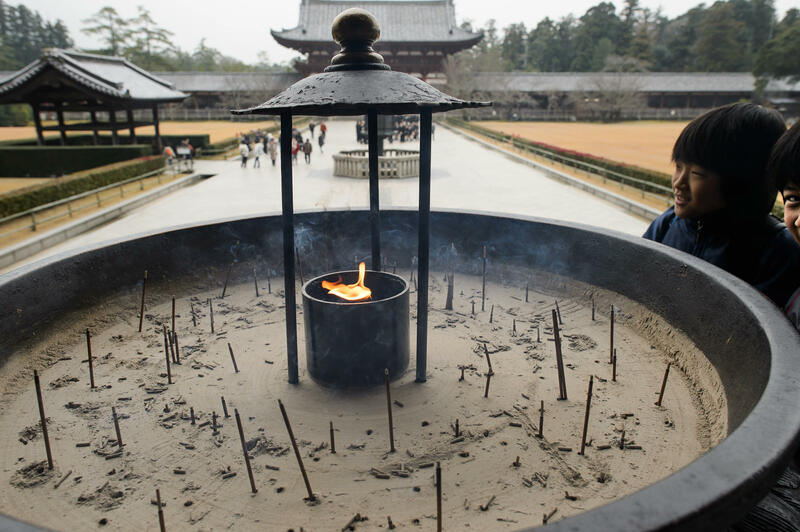 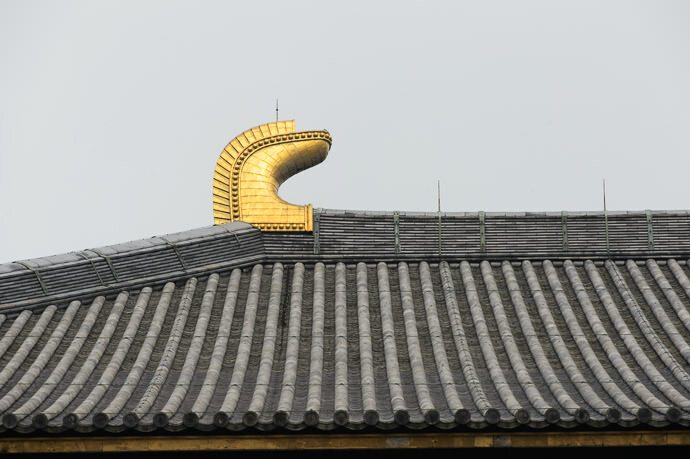 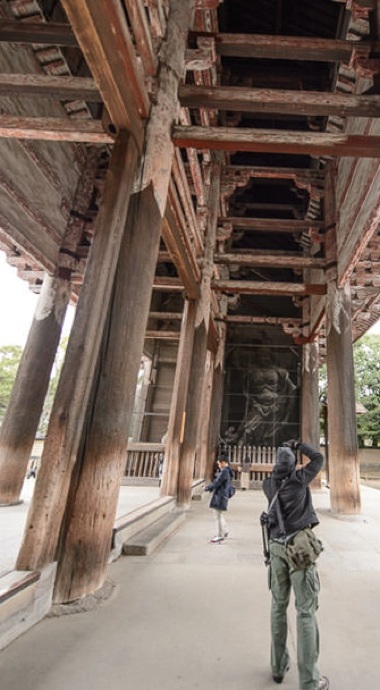 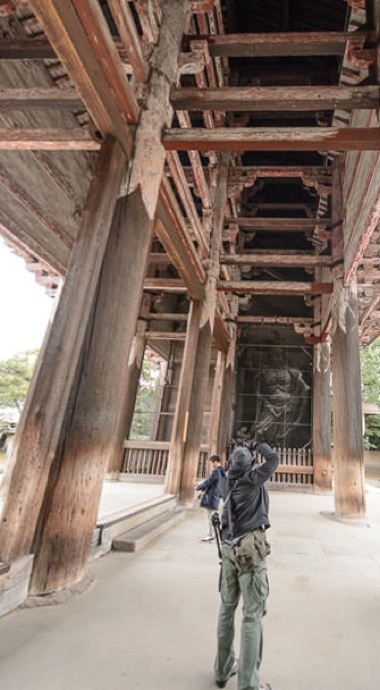 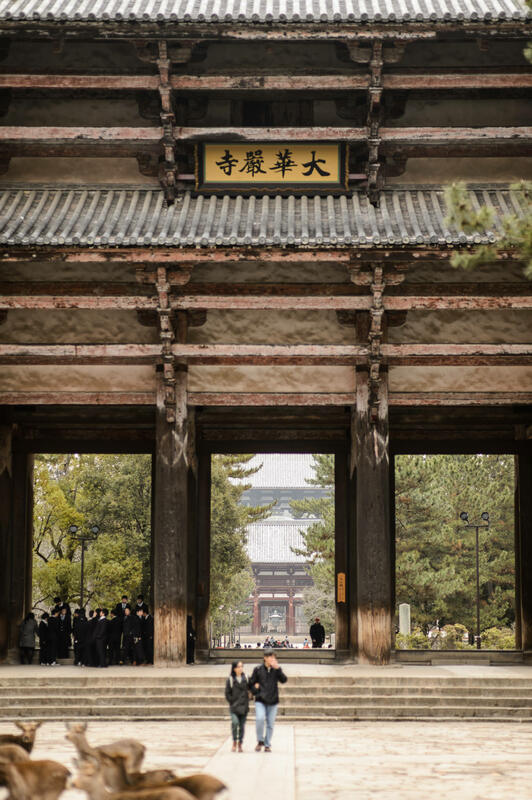 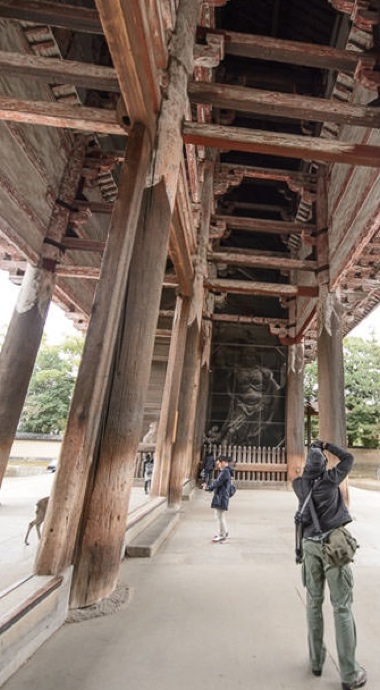 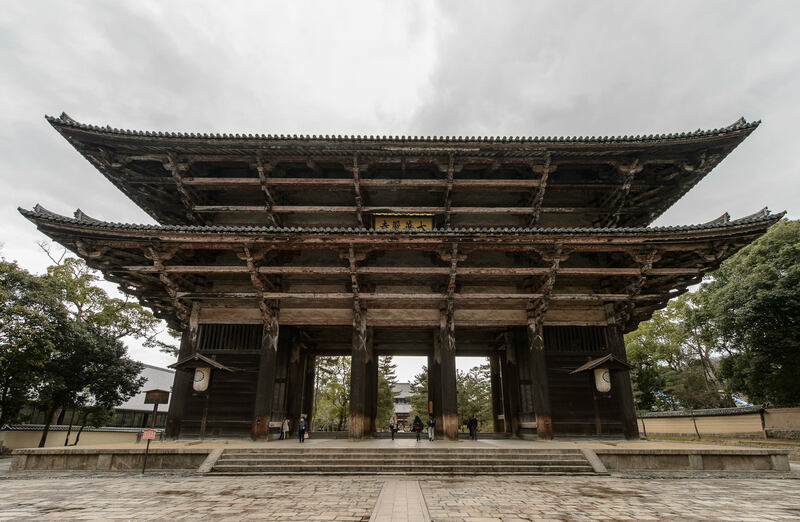 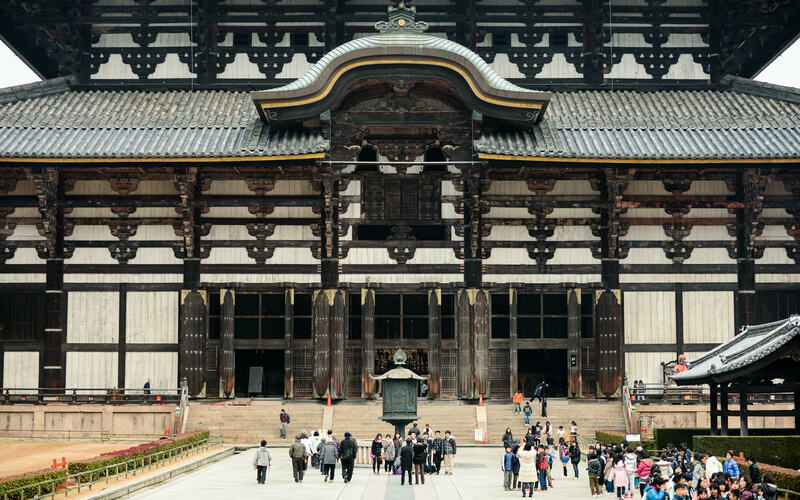 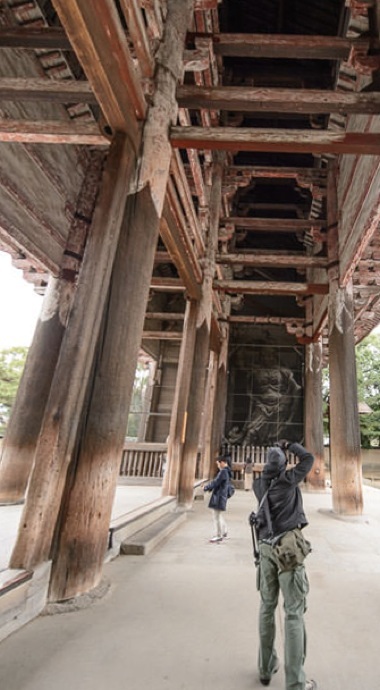 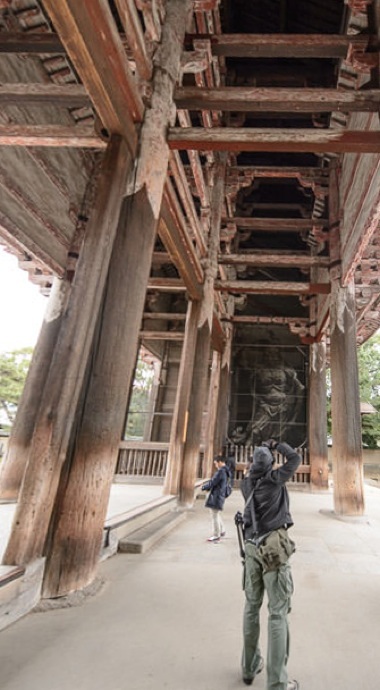 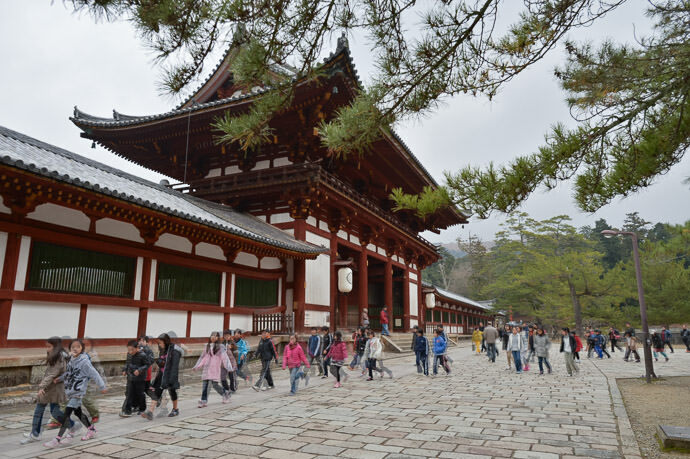 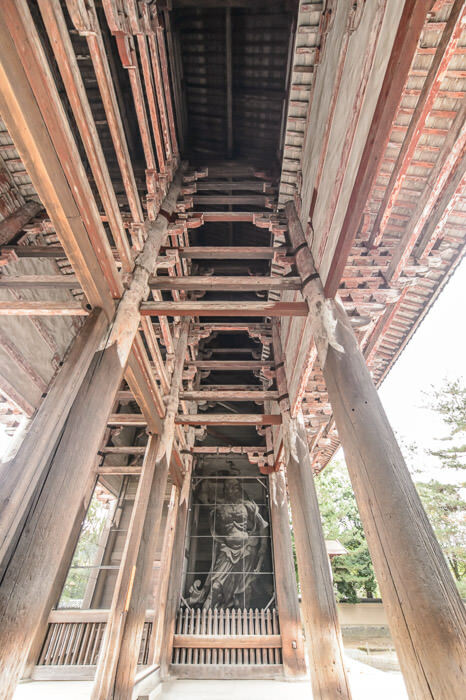 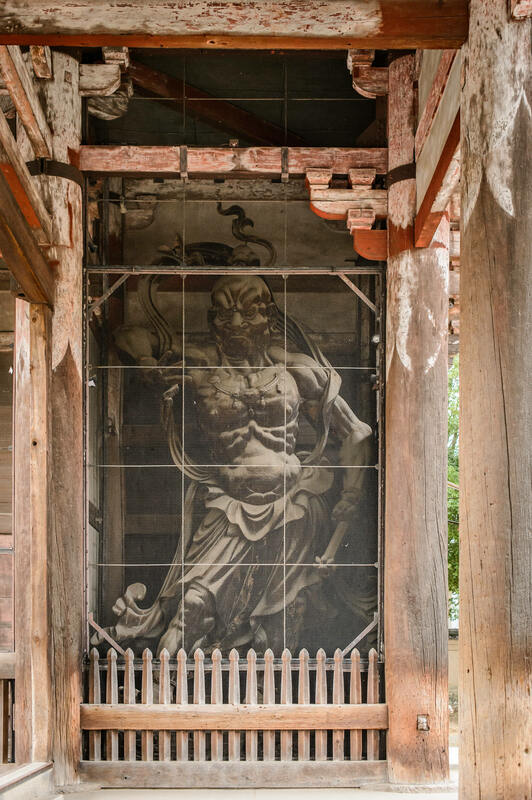 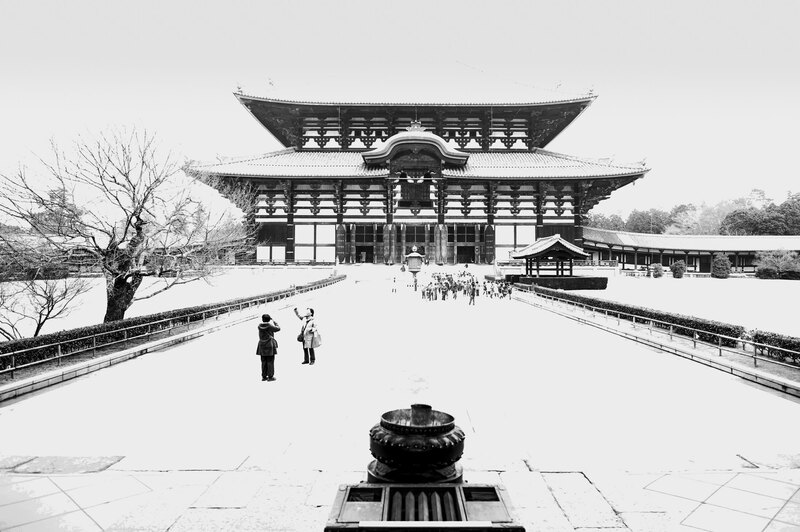 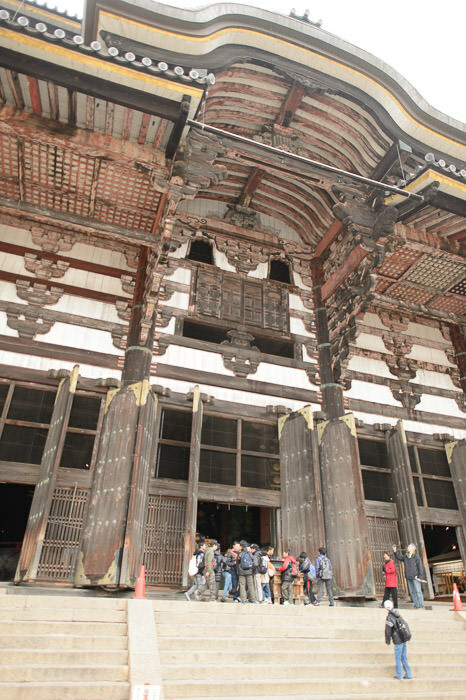 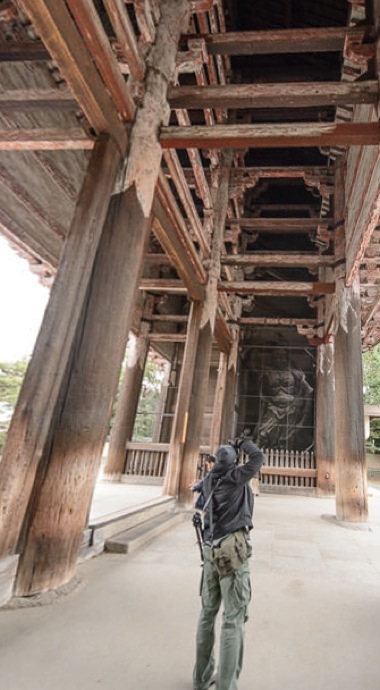 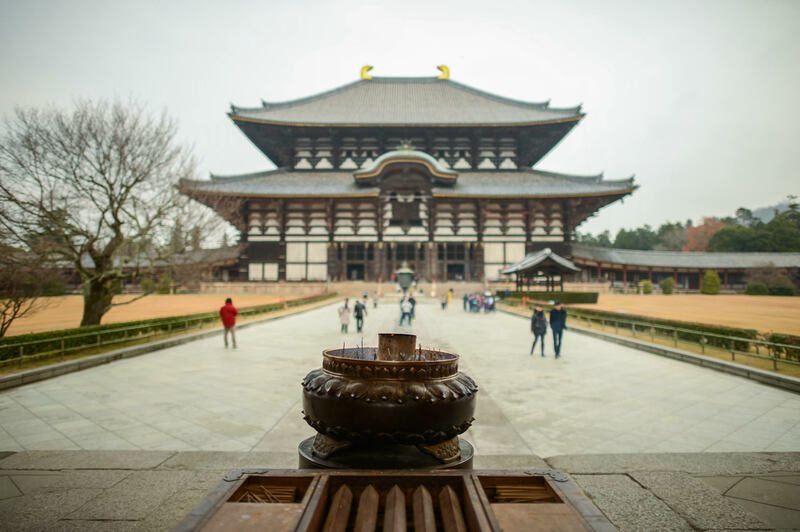 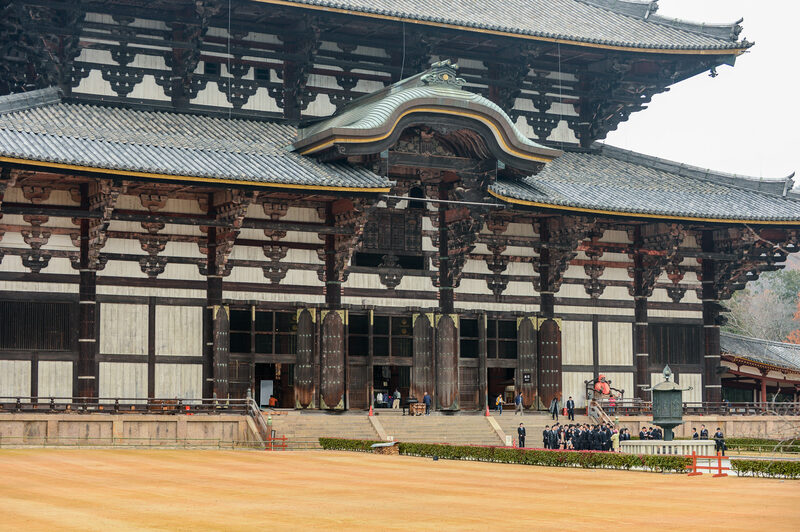 The Todaiji Temple site is impressively large, dating back almost 1,300 years. 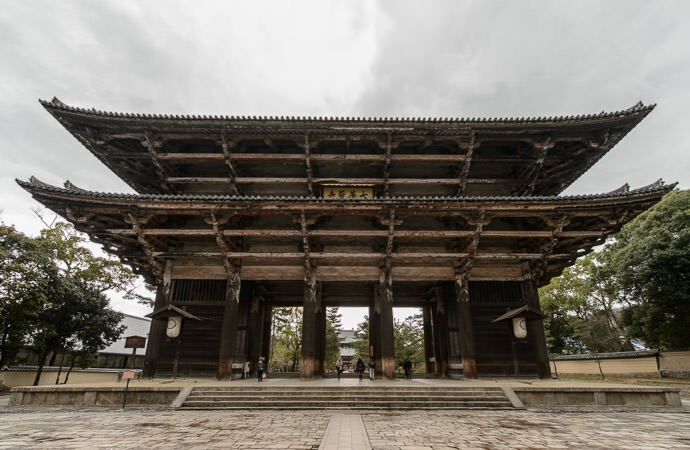 On the approach we took is a massive wooden gate that seems to exist merely to set you up for the substantially-more-impressive sights that wait beyond. Looking through the gate you can see another behind, and beyond that the temple's main building towers so high that you can't see the top of its roof. The other statue, at my back while taking this shot, was carved in 1203. This one dates from the same era, though I couldn't find out for sure what year this one was carved. 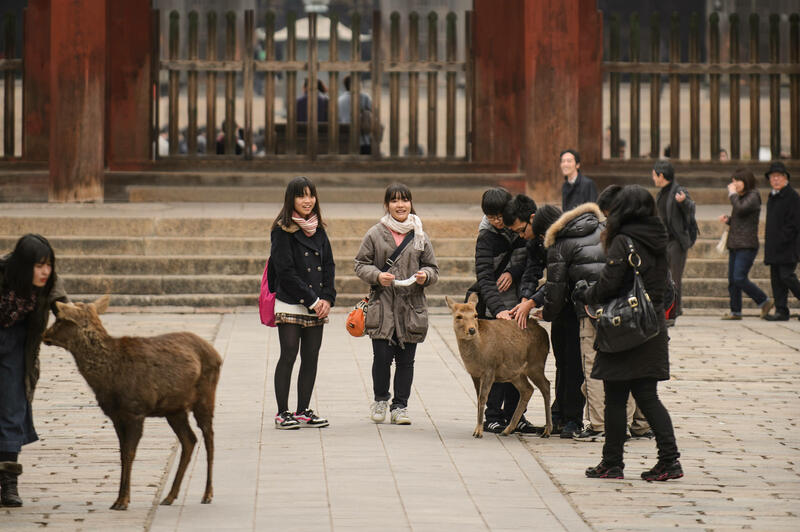 The deer in Nara can be extremely aggressive, and I can report from personal experience that they have no qualms about coming up behind you to bite the bag out of your hand if you just bought a snack from a vendor. 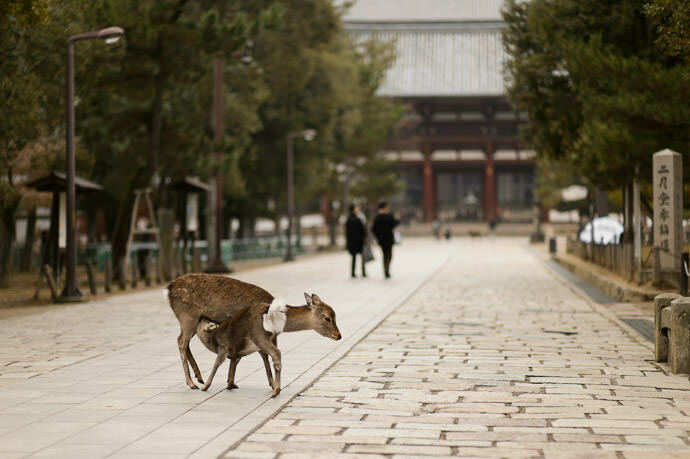 Care should be taken with fingers and small children.